Star Clippers, the tall ship cruise line, has released its fall 2012 through spring 2013 brochure highlighting its Caribbean and Costa Rica seasons, as well as two Panama Canal transits, for Royal Clipper, Star Clipper and Star Flyer. In addition to the itineraries, the 44-page brochure is filled with photos, maps, port descriptions and Costa Rica land tour options. Each itinerary now features Star Clippers’ new free air program that covers the airfare and air taxes/surcharges from select cities, so guests pay a single cruise rate that includes the free air. For passengers wishing to make their air arrangements independently, Star Clippers offers a credit off of the air-inclusive cruise fare. "Because we don't feature mainstream ports in the Caribbean and Costa Rica, these itineraries are popular with both new guests and our loyal repeaters," said Mark Carlson, director of marketing for Star Clippers, Americas. "The brochure is an ideal tool for both consumers and agents to see our itineraries and rates, look at vibrant photos of the areas we visit and read detailed information about the ships." Royal Clipper, the 227-passenger flagship of the fleet, returns to the Caribbean for another season on the line's round-trip Barbados itineraries. The ship sails two seven-night itineraries: the Windward Islands sailing features calls at St. Lucia, Dominica, Antigua, St. Kitts, Iles des Saintes and Martinique. The Grenadine Islands sailing includes calls at the Grenadines, Grenada, Tobago Cays, St. Vincent, Bequia, Martinique and St. Lucia. 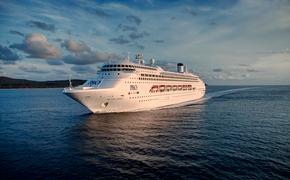 The 170-passenger Star Clipper sails two seven-night itineraries, roundtrip St. Maarten. The Treasure Islands itinerary calls at Anguilla, the British Virgin Islands, St. Kitts and St. Barts. The Leeward Islands itinerary visits Nevis, Dominica, Iles de Saintes, Guadeloupe, Antigua and St. Barts. The seven-night itineraries in the Caribbean and Costa Rica can be combined making it possible to take a 14-night sailing on back-to-back cruises. The brochure also highlights additional pre-cruise land tour options in Costa Rica. Either two or three nights, the land tours allow for an overland journey to a coffee plantation in San Jose, the country's capital, or a treetop adventure in the Monteverde cloud forest. Guests who book early can take advantage of the line's Advance Purchase Discounts. Early bookings were strong for Star Clippers' 2011-12 Caribbean and Costa Rica sailing season, so guests are encouraged to reserve space early to ensure they get the sailing and accommodations of their choice. To request a 2012-13 Caribbean and Costa Rica brochure, call 800-442-0556 or e-mail brochures@starclippers.com.